Wedding Dress Dreams Do Come True. 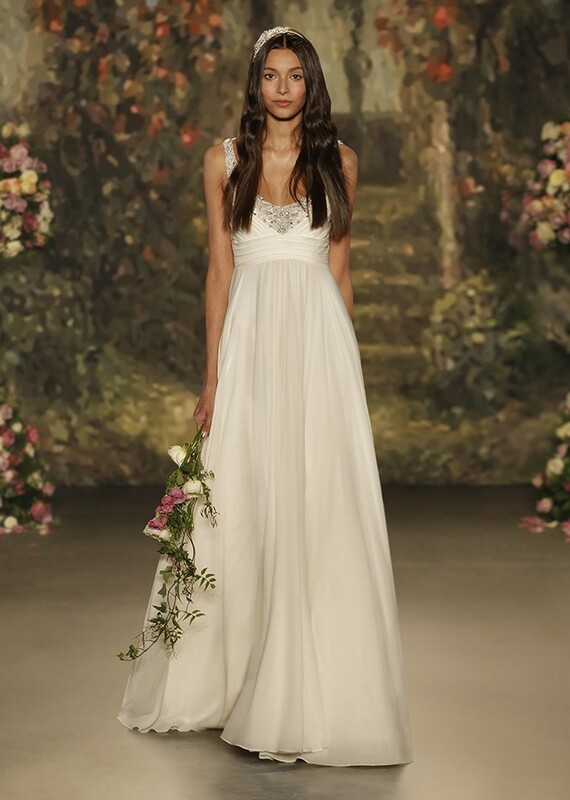 We are excited to have the latest collection arrive from Jenny Packham. Her 2017 Bridal collection takes inspiration from the romantic country music scene. To view these gowns and more, please make an appointment for our bridal suite. This beautifully beaded gown 'Nashville' features soft cap sleeves, with a sheer lace back, with crystal buttons through the centre back. It is hopelessly romantic. Not just a classic Dolly Parton song, but a gown sprinkled in beaded stars. The soft barley colour might be an unexpected choice but it certainly will make you shine down the aisle. The low open back gives a sensual feeling. A little more playful. The beaded V neck bust, soft chiffon skirt, sheer tule sides and low sheer back makes for the perfect dress to dance the night away. A true southern belle, the ‘Betsy’ gown is fully beaded in ivory and soft silver tones. The figure hugging gown features a slightly draped back with soft key hole opening and a train. The ‘Nashville’ is the right mix of demure and sensual. The front features a sheer lace panel across the chest, and gorgeous ivory beadwork. The back cuts down low, but is covered in a soft, sheer lace with crystal buttons.